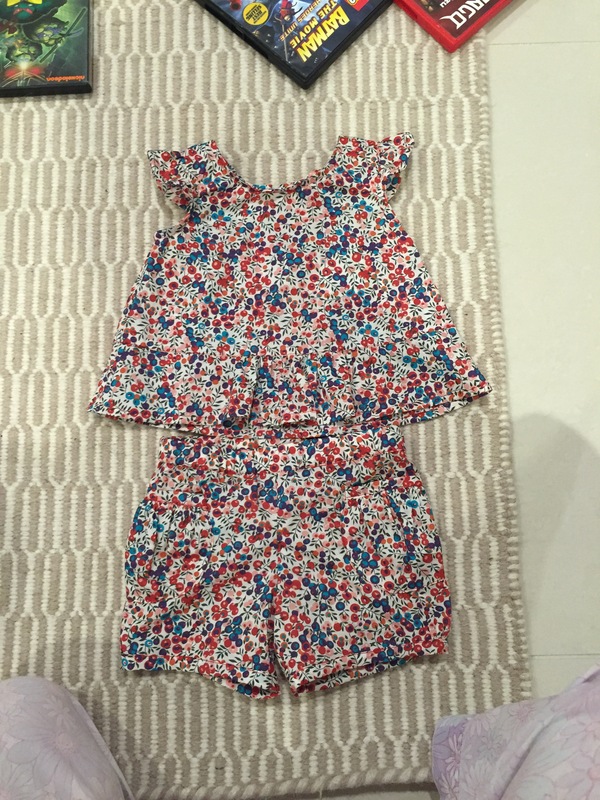 A Oliver and S play suit for Miss Alice, I find shorts and tops much easier during the crawling stage. The top is the butterfly blouse with the ruffle sleeves, the bottoms are the Puppet show shorts. Though Alice was 9 months when I made this I made her the 12-18 months size. As she is quite a big long baby and has broad shoulders. It fits perfectly. The fabric is divine Liberty Wiltshire purchased from the strawberry thief .